Insulated Concrete Formwork (ICF) is an innovative construction method that combines EPS (expanded polystyrene) insulation and concrete, to form an airtight, efficient and comfortable building. ICF blocks are made up of EPS with the thickness on one side varying depending on the U-value requirements. Expanded polystyrene is an extremely lightweight material, made up of 98% air, and the polystyrene beads are moulded easily into the shape of the block, making the blocks lightweight and stackable. EPS acts as an excellent insulator and ensures that no heat can escape, guaranteeing a temperature controlled environment. ICF blocks have a hollow cavity to allow for concrete pumping after they have been stacked, cutting down construction time by up to 60%. Concrete is poured into the centre of the blocks, encasing it with two layers of insulation. Insulated concrete formwork dates back to World War II, when countries were in desperate need of a rapid build system to repair cities which had been torn apart. 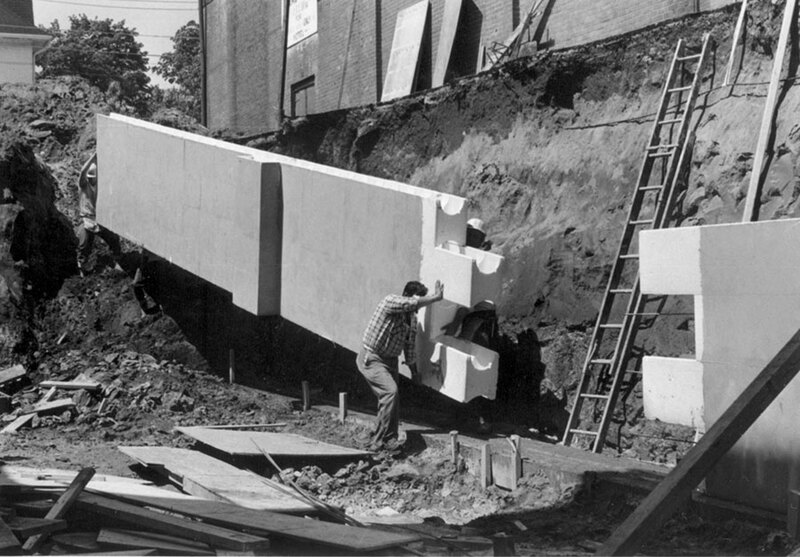 August Schnell and Alex Bosshard are credited with developing the first ICF style building technique. They cast a wood fibre cement material into blocks, leaving a hollow cavity in the centre. The blocks were then reinforced with concrete and steel to ensure they were structurally sound. The wood fibres provided insulating properties associated with ICF. This idea was patented and sold in 1946. In the 1960’s, an inventor named Werner Gregori had a similar idea. After observing how foam plastic coolers kept drinks cold, he “realized that if concrete blocks could be formed using that foam plastic, many construction costs and hours of labour could be eliminated”. Gregori swapped wood fibres for the expanded polystyrene we use today and patented what he called “Foam Form”. The design of the block included a waffle-grid core for easy stacking and a metal web for fire safety. Following Gregori’s innovative ICF design, its popularity grew globally. 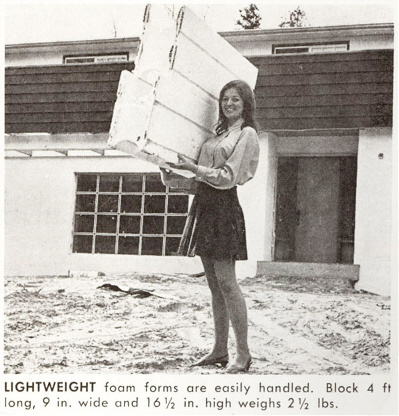 After receiving a Canadian patent in 1966 and a US patent shortly after, ICF burst into the mainstream market. The popularity of ICF is no surprise, as it has acted as a solution to construction problems everywhere, from heating issues to solving housing crises. To read more on the benefits of ICF click here.